All things Collie: The kitties do a cat food review! 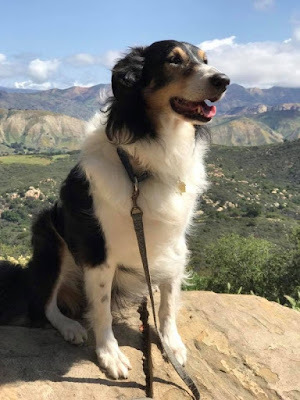 Every now and again, the collies let the kitties take over the blog. Fair is fair, right? Cats are very picky discerning creatures after all. So they feel it is their responsibility to voice their opinions, and guide the servants humans in making the best choices for their refined feline palates. 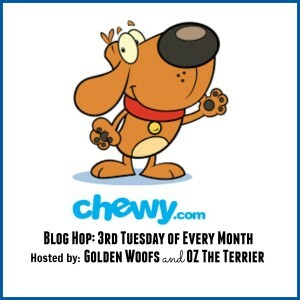 Fortunately, Chewy.com has a huge selection of cat food, treats and toys. 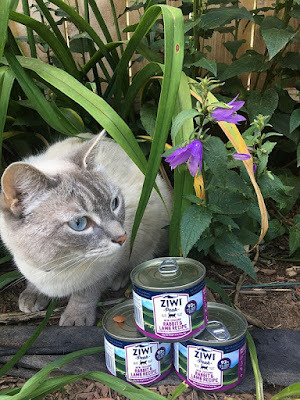 And this month they sent the Collie cats some canned, Ziwi Peak cat food, so the kitties could do a review. This was a food we had never tried before, so I was very excited when the Chewy box arrived! Being cats, they were equally excited by the Chewy.com box and the food, it was like getting two gifts in one! 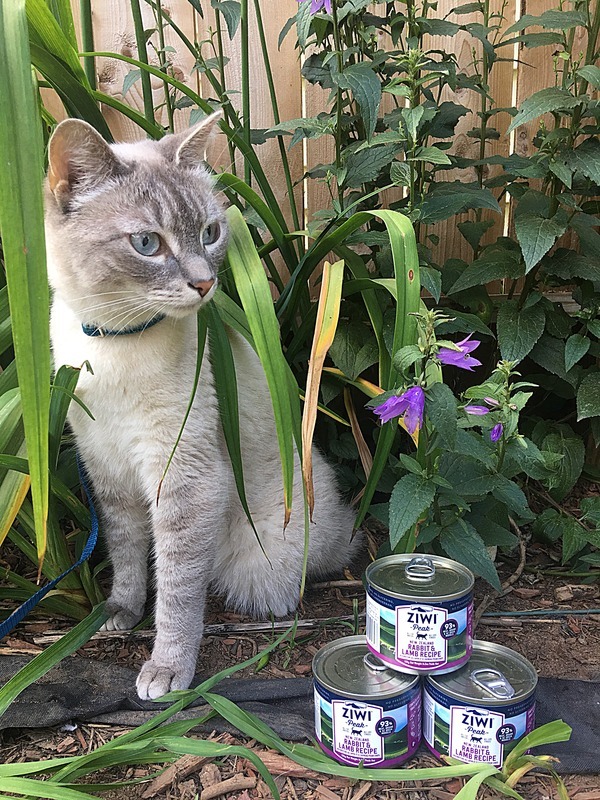 While Ghost rarely goes outside, he decided to brave the backyard, since this is a Summertime review. Plus, he wanted to make sure I took flattering pictures, as he is a bit vain. 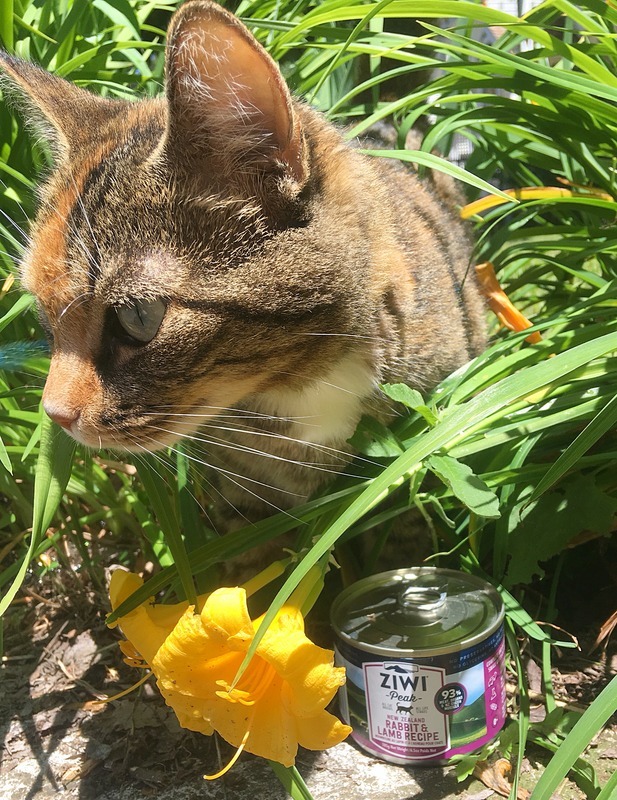 The first thing we noticed was that these cans were larger than most canned cat food. Since we have multiple cats, we loved the bigger size, as it made it easier for them to share. And at first glance, I was impressed by the label - 93% meat, organs and New Zealand green mussels! 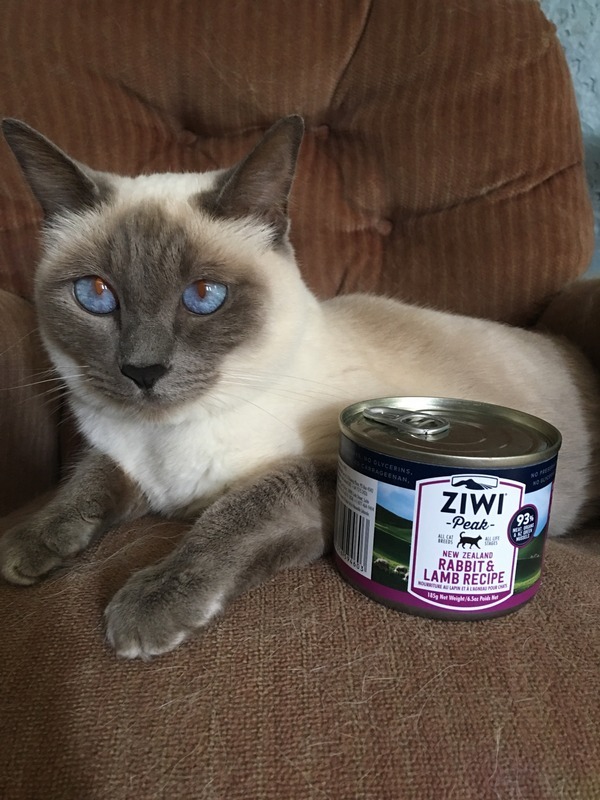 So being the cautious cat mom that I am, I had to research this food, and guess what I discovered? I learned that this food was designed to mirror a whole-prey, nutrient dense diet. And they add New Zealand green lipped mussels for a natural source of chondroitin and glucosamine. The more I read, the better this food sounded! And then I learned that this food does not include TSPP, BP or carrageenan, which made me so happy! 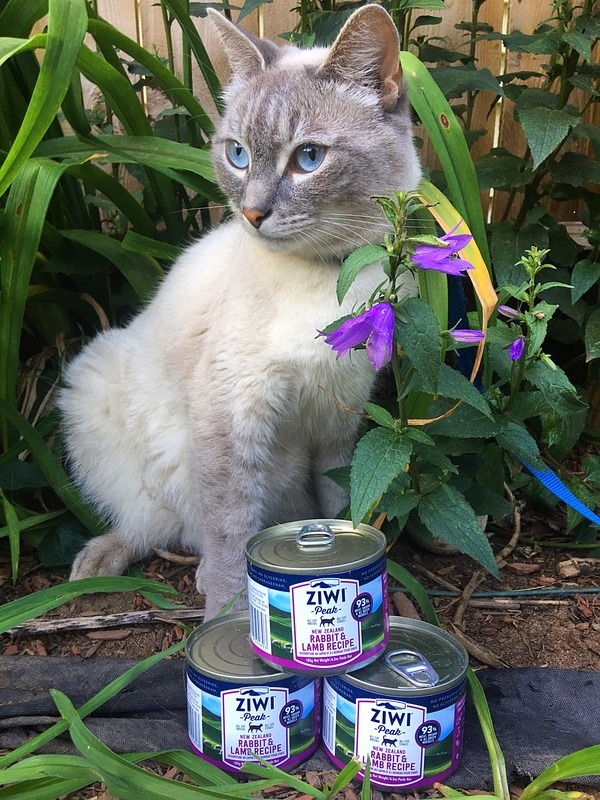 Too many pet food manufacturers ignore the dangers, I was glad to see Ziwi was not one of them. 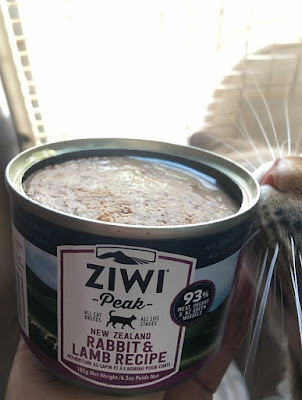 We were sent the Ziwi Peak Rabbit and Lamb recipe and I was very impressed with the ingredient list. This food is packed full of meat and nutrients! Rabbit Meat, Lamb Broth, Lamb Liver*, Lamb, Lamb Lung*, Lamb Kidney*, Chick Peas, Lamb Tripe*, Lamb Heart*, Hare Meat, New Zealand Green Mussel, Lamb Bone, Dried Kelp, Minerals (Zinc Amino Acid Complex, Copper Amino Acid Complex, Manganese Amino Acid Complex), Vitamins (Vitamin E Supplement, Vitamin B1 Supplement, Folic Acid, Vitamin D3 Supplement). *Depending on seasonal availability will be temporarily substituted with sheep. Includes 3% New Zealand Green Mussels, which are a natural source of chondroitin and glucosamine and supports joint health. Complete and balanced, limited ingredient formula includes 92% fresh meat, organs, bones and green mussels. I can't tell you how happy I am with this food! Free-range, grass-fed lamb/sheep, raised on ethical and sustainable farms! 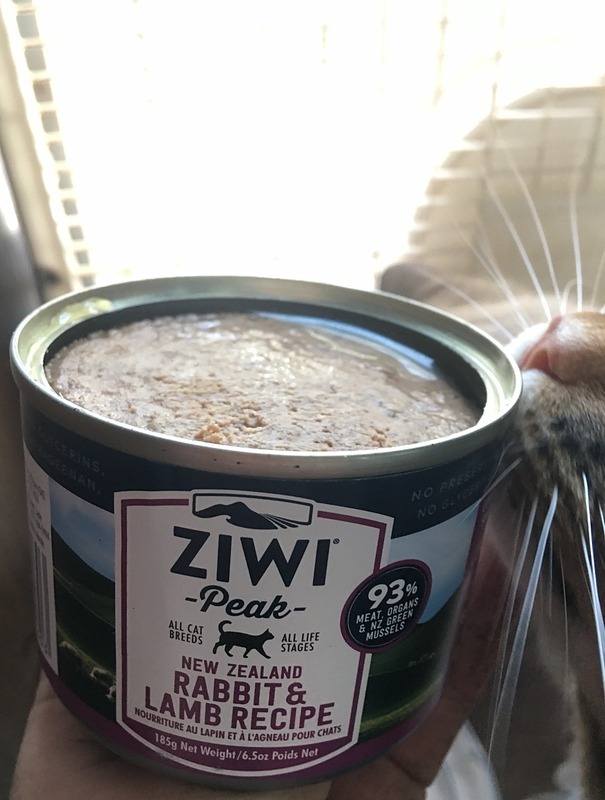 And as you can see, the kitties love this food, the second the can is opened, they are meowing for their dinner. 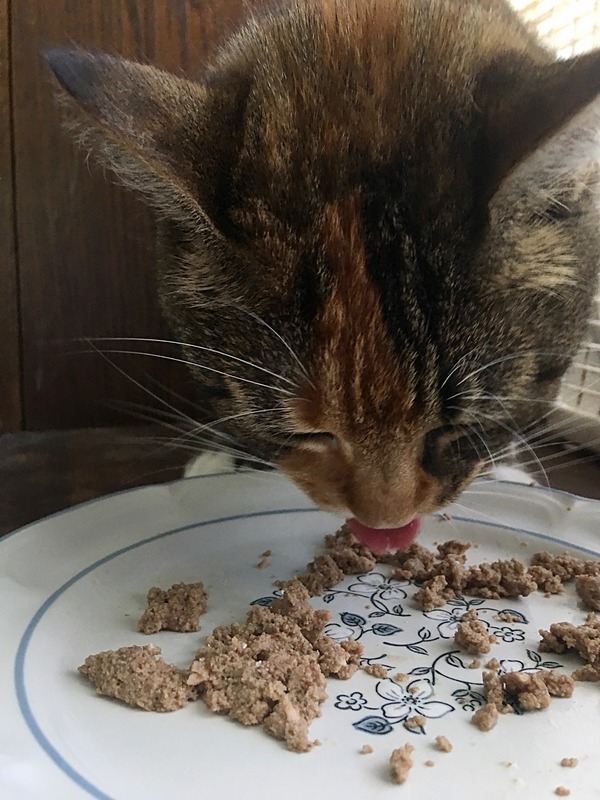 And judging by the contented purrs afterward, they give this food four paws up! 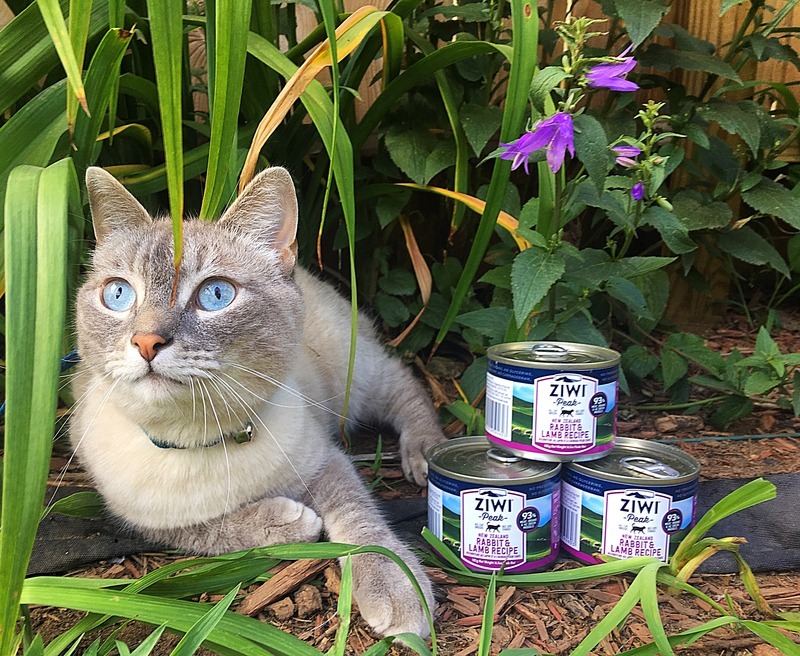 Chewy.com sent us Ziwi Peak Canned cat food in exchange for our honest review. We were not paid for doing this review, and all opinions expressed are our own. That kitty food looks very yummy and you are such pretty kitties! I didn't even know that you had kitties in your family. I'm glad that they loved their food! Great review! We heard that doggies even think cat food tastes good BOL! Sounds like the kitties like their food. Angel Paws is hit or miss lately. So there is very little to write about. 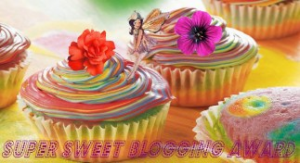 Need to find our blogging muse. I haven't heard of this food before, but really glad to know about it especially since they add the green lipped mussel. Your cats are gorgeous. I love siamese and siamese mixes. One of my heart cats was named Toonces and she was a siamese mix. 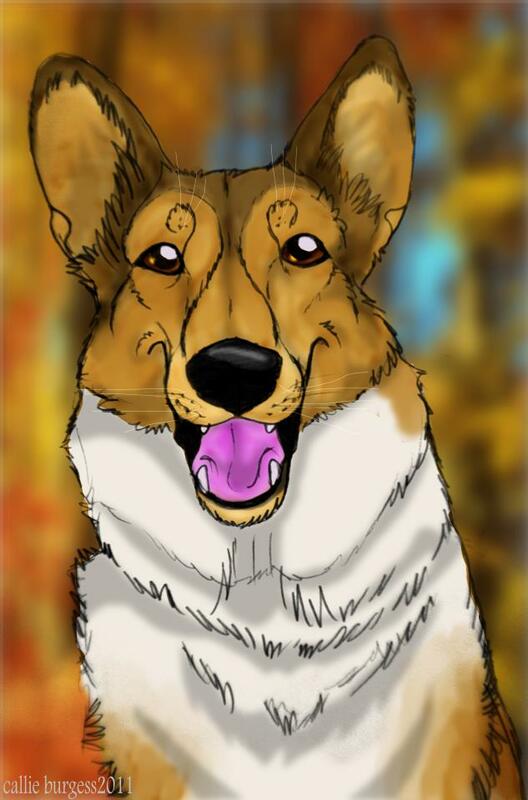 She passed in 2009, but I still think of her every day. I like cats. Maybe I'll like their food too. I had never heard of this food until I got mine to review. I love it but TW said it's too expensive to eat as a regular meal. The cats should review more often. Sounds like a great good!